The Outstanding Cambridge Learner Awards programme celebrates the success of learners taking Cambridge examinations in over 40 countries around the world. Across the globe, thirteen students were awarded ‘Top in the world’ awards. 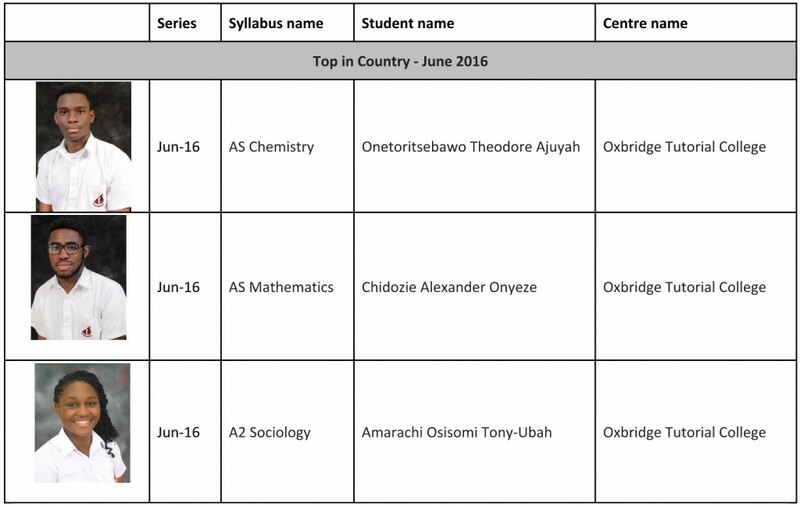 These students achieved the highest marks in the world in a range of individual subjects across Cambridge IGCSE, Cambridge O Level and Cambridge International AS and A Level qualifications in the June 2015-16 series exam. 31 students also achieved ‘Top in Country’ awards across these qualifications. We are very proud to celebrate 3 of our outstanding students who have distinguished themselves as recipients of these awards!! !